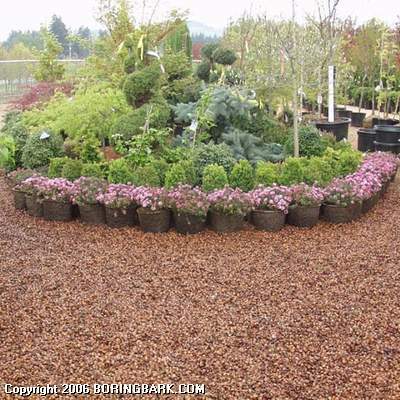 Wonderful for pathways, great substitute for gravel. Quick draining, slow to decompose and good weed prevention. Hazelnut shells are perfect for natural looking pathways, top dressing for garden beds and container plants. If you need pebbles in the bottom of your container plants for drainage try hazelnut shells. We hear that cats and slugs are not fond of this product!